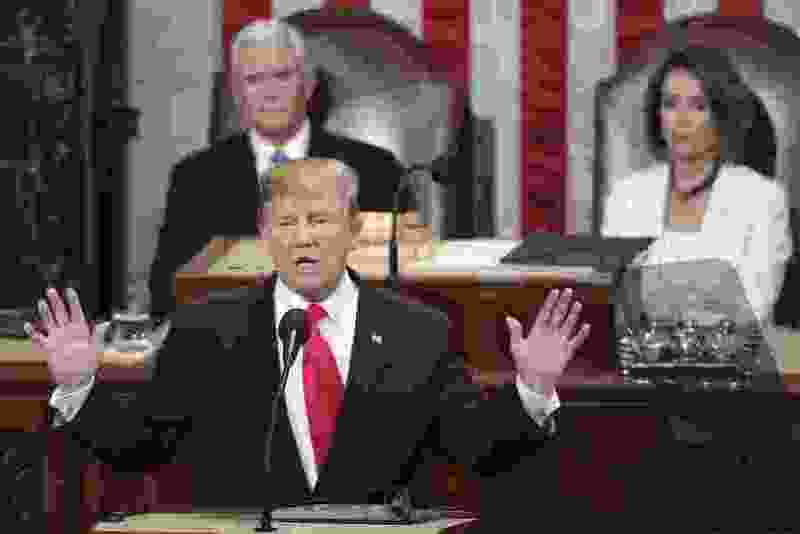 (Andrew Harnik | Associated Press file photo) On Feb. 5, 2019, President Donald Trump delivers his State of the Union address to a joint session of Congress on Capitol Hill in Washington, as Vice President Mike Pence and Speaker of the House Nancy Pelosi, D-Calif., watch. The State of the Union address brought great applause when President Trump brought up banning abortions after a certain gestational point. The Utah Legislature has a pending bill restricting abortion. In all the discussions and laws on the books over all the years of my existence, I have yet to find a single reference to the male that caused the pregnancy. Not a word against the irresponsible male who did not use protection or kept his pants on in the first place. Why is that? There was also mention in the president’s address of human trafficking. No mention of the fact that the trafficked individuals are used by men who, again, cannot keep it in their pants. Why is that? We have an odd phrase in our society about keeping women barefoot and pregnant. That is a world where women are controlled by men and, as far as I can tell, there is really little change in the behavior of men toward women after all these generations. When men pay the price for an unwanted pregnancy, then abortion can be restricted. Until men step up and pay the price for their behavior, it is unfair to heap the price on all of the heads of women.